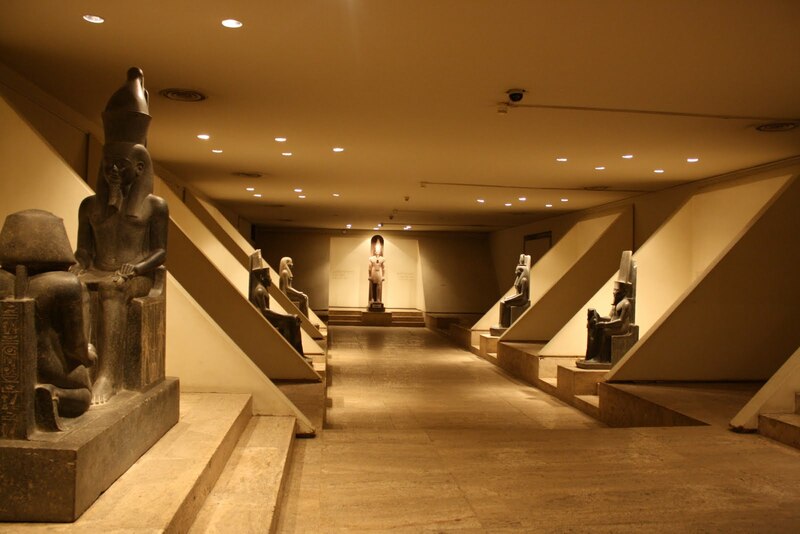 Recently built, Luxor Museum displays countless interesting finds relating to the history of ancient Thebes. The most interesting piece is Talatat’s wall, a recomposition of an 18-metre wall from the temple of Akhenaton in Karnak and destroyed by its successors; the 283 blocks forming it were found in the filling of the ninth pylon of the temple of Amon in Karnak. The wall, formed by hundreds of small scenes, shows work in the fields and craftsmen at work, not to mention Pharaoh and Queen Nefertiti worshipping the Sun. It is worth mentioning the elegant head of Hathor in the form of a cow in gilt wood and from Tutankhamun’s tomb; a large sandstone head with the unmistakeable features of Akhenaton and a stone statue of Thotmsis I holding the ankh in his hands.